This fantastic dragon has been brought to life by artist Ruth Thompson based on her piece "Quicksilver". This brooding dragon is done in shades of black, blue, and silver while crouching upon the rocks. His mouth is agape, his eyes and horns standing up in a threatening gesture upon his head. 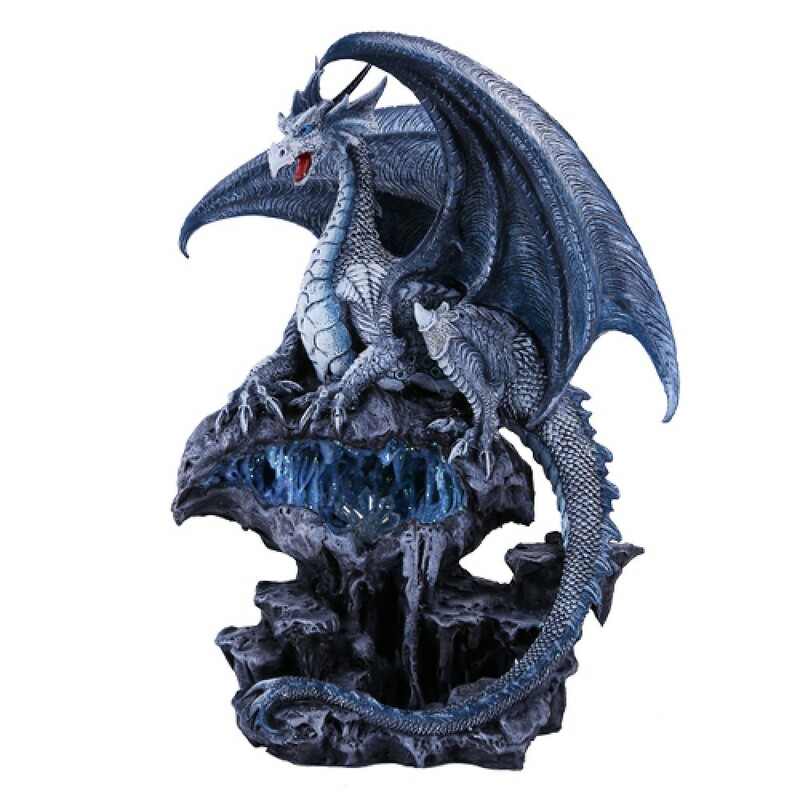 Glittering crystals sparkle from beneath the dragon, and the azure crystal cave is lit by the LED light and rotating in color through the spectrum. A unique dragon that belongs in a fantasy loving home! Shipping Weight of 3 Pounds.